macOS 10.11 (El Capitan) ~ 10.14 (Mojave) support. Please read the terms of service before downloading. Unzip a download file and move 1Piece to Applications folder. Launch 1Piece. Continue to the next step if the below alert window shows. The installation is completed if the alert window does not show. 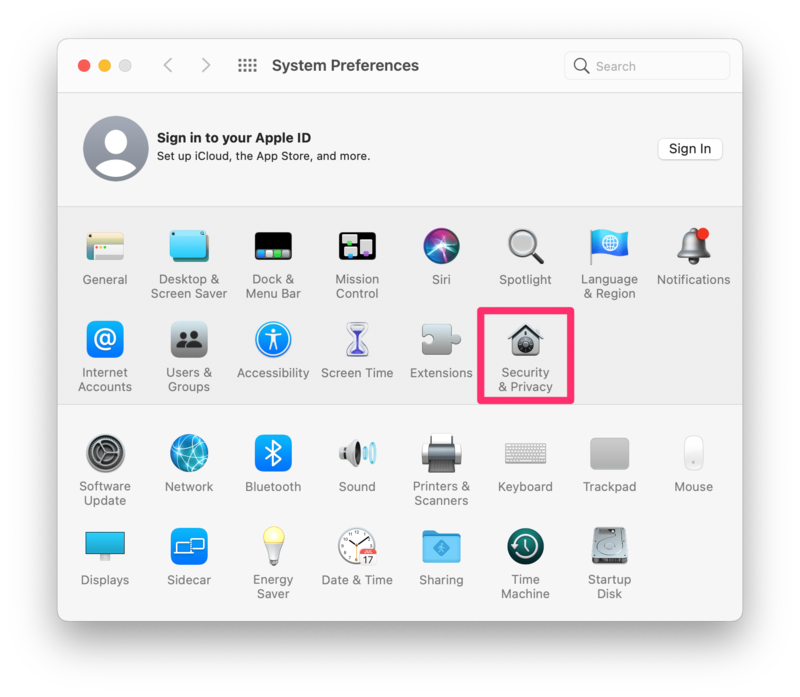 Open "Security & Privacy" in System Preferences. Press "Continue" in the alert window. The installation is completed if the alert window does not show again. April 7, 2019 2.0.1 was released. Fix a bug that Desktop Windows sometimes crashes in macOS 10.11 (El Capitan). Add a key input by pop-up menu to editing window of "Send Key" in "Menu Bar in Context Menu". Fix other minor bugs and change some specifications. March 28, 2019 2.0 was released. Change user interface and specifications of Window List. Add "Darken the background" to Desktop Windows. Change layout and specifications of Desktop Windows. Change layout of "Preview" in Desktop Windows. Change specifications and initial values of "Key Assign" in Window List and Desktop Windows. Change specifications of "Mouse Gesture" in Window List and Desktop Windows. Change layout and specifications of "Switch the Space", "Window List" and "Desktop Windows" in Hot Corner. Change the name of "Window Operation" to "Window Management". Change layout and specifications of "Split Assist" in Window Management. Fix minor bugs and change some specifications. May 27, 2018 1.2 was released. Add "Move the mouse cursor to the center of window in conjunction with switching the window" and "The list panel's maximum width" to Window List. Add "Move the mouse cursor to the center of window in conjunction with switching the window" to Desktop Windows. Add "Display" to "Preset" in "Window Operation". Change a specification of Window List. Change a specification of Desktop Windows. Change a specification of "Window Operation". Change a specification of "Tweak" and "Grid" in "Window Operation". Change a specification of "Warp the mouse cursor". April 7, 2018 1.1 was released. Add the automatic update function. Add new function "Preset" to "Window Operation". Add "Grid" to "Window Operation". Add "Show preview in front by long pressing of primary mouse button" to Desktop Windows. Change a specification of "Customize" in "Window Operation". Change a specification of "Tweak" in "Window Operation". February 17, 2018 1.0 was released. Add "Adjustment of Precise Scrolling". Change a specification of "Adjustment of Scrolling". Change a specification of "Split Assist" in "Window Operation". January 12, 2018 0.19.0 was released. Add new function "Split Assist" to "Window Operation". Add "Switch continuously" to "Switch the Space" in "Hot Corner". Add "Hidden List" to "Reboot Application". Change a specification of "Desktop Windows" in "Hot Corner". Change a specification of "Reboot Application". December 3, 2017 0.18.0 was released. macOS 10.13 (High Sierra) support. Change the system requirement to OS X 10.11 (El Capitan) or later. Add new function "Warp the mouse cursor". Change a specification and layout of Window List. Change a specification of "Hot Corner". Change a specification of "Title Bar". Change a specification of "Adjustment of Windows". Change a specification of "Move the mouse cursor". September 2, 2017 0.17.0 was released. Add "Row Layout", "Show in order of application", "Show Preview", "Show minimized icon" and "Show "Close Window" button" to Desktop Windows. Add "Show Preview in front" to "Key Assign" in Desktop Windows. Fix a bug that "Deactivate Application" sometimes does not work. Change a specification of "Mouse Gesture" in Desktop Windows. Change a specification and layout of Desktop Windows. Change a specification and layout of "Desktop Windows" in "Hot Corner". Change layout of "Window Snap Assist for opposite side" of "Window Snap" in "Window Operation". June 10, 2017 0.16.0 was released. Add "Show tooltip of window title" to "Desktop Windows" in "Hot Corner". Add "Show tooltip of window title" to "Window Snap Assist for opposite side" of "Window Snap" in "Window Operation". Add "None" to the position options of "Customization of Size and Position" in "Window Operation". Change specifications of "Left + Right" and "Top + Bottom" in "Window Operation". Change a specification of "Window Snap" in "Window Operation". Change a specification of "Tracking Resize" of "Window Snap" in "Window Operation". May 15, 2017 0.15.0 was released. Add new functions "Left Third", "Left Two Thirds", "Center Third", "Right Two Thirds" and "Right Third" to "Window Operation". Add new function "Grid" to "Tweak" in "Window Operation". Add "Tweak" and "Tweak (Grid)" to "Secondary Mouse Button on Green button" in "Mouse Operation on Control Button". Add "Mouse Gesture" to "Tweak" in "Window Operation". Change a specification of the function that resize and reposition the window. Change a specification of Desktop Windows to be able to execute "Tweak" of "Window Operation" in Desktop Windows. March 29, 2017 0.14.0 was released. Add new function "Tweak" to "Window Operation". Fix a bug that 1Piece does not launch. March 4, 2017 0.13.0 was released. Add new function "Hide the mouse cursor". Add "Display position when activated with keyboard" to "MenuBar in Context Menu". Change a specification of "Search" in Window List. December 17, 2016 0.12.1 was released. Fix a bug that some menu items are not shown in "MenuBar in Context Menu". December 16, 2016 0.12.0 was released. Add "Show hidden items without modifier keys" to "MenuBar in Context Menu". Add new functions "Send Key", "Execute AppleScript" and "Execute Automator workflow" to the Favorite in "MenuBar in Context Menu". Change a specification of "MenuBar in Context Menu". Change a specification of "Mouse Operation on Control Button". May 14, 2016 0.11.0 was released. Change the system requirement to OS X 10.9 (Mavericks) or later. Add new function "Move Window Between Spaces" to Window List. Add new keys to "Key Assign" in Window List. Add new items to "Order" in Window List. Add to "Terminate Application" to "Enable only the application in the allow list". Add "+ Move to Active Space" to "Favorite Window". Fix a bug that the window sometimes does not switch in Window List. Change a specification of "Quit All Applications". March 26, 2016 0.10.0 was released. Add "Disable the animation of the list panel", "Select the second after opening" and "Select the first after changing the list condition" to Window List. Add new keys to "Key Assign" in Window List and Desktop Windows. Add "Show in the order of display number", "Show window title" and "Select next window after opening" to Desktop Windows. February 20, 2016 0.9.2 was released. Add "Adjustment of Margin and Padding" to "Window Operation". Add "Automatically move the mouse cursor to the center of window after snapping" to "Window Snap" in "Window Operation". January 18, 2016 0.9.1 was released. Add "Key Assign" to Window List. Add new function "Move window between displays by drawing a circle" to "Window Snap" in "Window Operation". Change default values of "Terminate Application", "Adjustment of Windows" and "Deactivate Application" to OFF. Change a specification of "Deactivate Application". Change a specification of "Send the window to back". December 12, 2015 0.9.0 was released. OS X 10.11 (El Capitan) support. Improve the working speed of Window List and Desktop Windows. Add "Scroll wheel on MenuBar" to "Title Bar". Fix a bug that the application sometimes does not reboot in "Reboot Application". Change a specification of "Adjustment of Scroll". August 22, 2015 0.8.0 was released. Improve the display speed of Window List and Desktop Windows. Add "Deactivate Application" to menu of 1Piece. Add "Show Desktop Windows" to "Double-click on MenuBar" in "Title Bar". Fix a bug that "Automatically turn on or off "Automatically hide the Dock"" and "Adjustment of Windows" sometimes do not work when switching to an application with switch to a Space. Change a specification of "Customize" in "Window Operation" to be able to set a value of size and position for each applications. Improve stability and working speed. June 19, 2015 0.7.2 was released. Add new function "Tracking Resize" to "Window Snap" in "Window Operation". Add "Disable while the following modifier key is pressed" to "Window Snap" in "Window Operation". June 5, 2015 0.7.1 was released. Add the exclusion list to "Hot Corner". Add "Exclude Minimized (or Hidden) Window" to the conditions of listing windows in "Desktop Windows" and "Window Snap Assist for opposite side" of "Window Operation". Fix a bug that "Window Snap" in "Window Operation" sometimes does not work. Change layout of "Desktop Windows". Change specifications of "Left", "Right", "Top", "Bottom", "Restore" and "Window Snap" in "Window Operation". Change default values of some hotkeys. May 14, 2015 0.7.0 was released. Add new function "Window Snap" to "Window Operation". Add a function of executing Automator workflow to "Launcher by Modifier Key". Add mouse gestures and trackpad gestures to "Desktop Windows". Add a function of adjusting the movement speed to "Move the mouse cursor". Change a specification of "Mouse Gesture on Control Button". April 17, 2015 0.6.0 was released. Add new function "Move the mouse cursor". Add "Display position" to Window List. Add "Move the mouse cursor to the center of display by clicking" to "Switch the desktop" in "Hot Corner". Add "Move the mouse cursor" and "Desktop Windows" to "Launcher by Modifier Key". Add the exclusion list to "Deactivate Application". Change a specification and name (New name : Desktop Windows) of "Cycle Windows on Active Desktop". March 27, 2015 0.5.2 was released. Add the hot key version of "Previous Window". Add "Maximize (Horizontal)" and "Maximize (Vertical)" to "Resize and Reposition Window". Add "Next + Maximize", "Previous + Maximize" and "Here + Maximize" to "Move Window Between Displays". Improve and fix bugs about the operation for resizing and repositioning a window. Change a specification of "Cycle Windows on Active Desktop" in "Hot Corner". Change a specification of "Customize the window". March 12, 2015 0.5.1 was released. Add new function "Window Operation". Add "Show Window Operation in Context Menu" to "Mouse Gesture on Control Button". Add "Scroll wheel down holding down primary mouse button (Show Window Operation in Context Menu)" to "Title Bar". Add "Window Operation" to "Launcher by Modifier Key". Change a specification of "Cycle Windows on Active Desktop" that the panel is also displayed on other displays. February 28, 2015 0.5.0 was released. Add the hot key version of "Cycle Windows on Active Desktop". Add "Resize and Reposition Window" and "Move Window Between Displays" to "Cycle Windows on Active Desktop". Change a specification of "Favorite Window". February 7, 2015 0.4.2 was released. Add the slider that changes Window List's size to Preferences. Add "Measure Selected Window" to "Manually input the height of window's title bar" in "Title Bar". Fix a bug that "Send the window to back" in "Title Bar" sometimes does not work. Change layout of Window List. Change a specification of Window List's default values. Change layout of "Cycle Windows on Active Desktop" in "Hot Corner". Change "Get from frontmost window" to "Get from Selected Window" in "Title Bar". December 30, 2014 0.4.1 was released. Add a function "Use the exclusion list of Window List" to "Cycle Windows on Active Desktop" in "Hot Corner". Fix a bug that the operation for changing the size of the window in "Title Bar" sometimes does not work. Improve the control button and slider in Window List. Change layout of Window List and "Hot Corner" in OS X 10.10 (Yosemite). Change a specification of favorite menubar item. November 29, 2014 0.4.0 was released. Add a command list of "Command in search field" in Window List to Preferences. Add a number's command to "Command in search field" in Window List. Add options to "Play Sound" in "Launcher by Modifier Flag" and "Screen Shots". Improve the control slider in Window List. Change the method how to assign functions to "Hot Corner". Change a specification of "Window List" and "Cycle Windows on Active Desktop" in "Hot Corner". Change a specification of favorite menubar item to be able to add a sub menu. October 29, 2014 0.3.2 was released. OS X 10.10 (Yosemite) support. Add "Favorite Window" and "Favorite Item of MenuBar" to "Launcher by Modifier Flag". October 8, 2014 0.3.1 was released. Add "Screen Shots" to menu of 1Piece. Fix a bug that a thumbnail does not display well when the window is off the screen. September 15, 2014 0.3.0 was released. Add new function "Scroll wheel on TabBar (Switch Tab)". Fix a bug that can not edit a name of MenuBar Item in the editing window of favorite menubar item. Change specifications of "Switch Active Desktop", "Window List" and "Cycle Windows on Active Desktop" in "Hot Corner". August 31, 2014 0.2.0 was released. Add new function "Reboot Application". Improve the method for determining "Child Window". August 6, 2014 0.1.5 was released. Add disintermediation match to partial match function of favorite item in context menu of menubar. Fix a bug that control buttons of Google Chrome sometimes are not enabled in Window List. Change a specification of "Maximize Window" in "Mouse Gesture on Control Button" to the specification that restore a window to previous size and position when the window is maximum. July 21, 2014 0.1.4 was released. Fix a bug that the window that does not exist on desktop is displayed in Window List. July 15, 2014 0.1.3 was released. July 11, 2014 0.1.2 was released. Add trackpad gestures to Window List. Fix a bug that "Deactivate the application when the last visible window was minimized or closed" sometimes does not work. June 29, 2014 0.1.1 was released. Fix a bug that "Automatically turn on or off "Automatically hide the Dock" when App activate" sometimes does not work. Fix a bug that "Adjustment of Windows" sometimes does not work after automatically turn on or off "Automatically hide the Dock". Fix a bug that the window sometimes does not switch in Window List or the switching of the favorite window. Fix a bug that the desktop number's panel does not show in Hot corner or Window List. Change layout of Window List's panel. June 21, 2014 0.1.0 was released.